Chasing Francis: A Pilgrim's Tale is a spiritually uplifting novel for anyone who has lost their faith and are in search of a renewal. The author, Ian Morgan Cron, has weaved a tale of fiction with non-fiction that is sure to enlighten all those who peruse its pages. Chase Falcon is a pastor of a very successful ministry who begins to see flaws in his parishioners and the church he preaches from. While struggling internally with the materialistic trappings that have become a part of the religious cycle, Chase doubts his influence. The day one of his young members dies from an accident, Chase's floodgates can no longer be held back and in front of his congregation he laments about the evils that each of them has allowed into their house of God. The elders are appalled and ask Chase to take a leave of absence until he can get his head together. Stepping into Chase's shoes is his Senior Pastor, Chip, causing a rift in the church, and eventually, the churches demise. Suffering from depression, Chase is uncertain of his future, and has no direction. A phone call from his Uncle Kenny, a Franciscan Monk, to come spend some with himself and his brothers in France and retrace the steps of his patron saint, St. Francis of Assisi, sounds appealing to Chase and he embarks on what will be one of the best experiences in his life. Dispersed throughout the narrative are aspects of St. Francis that will give a different light on the Patron Saint of Children and Animals. 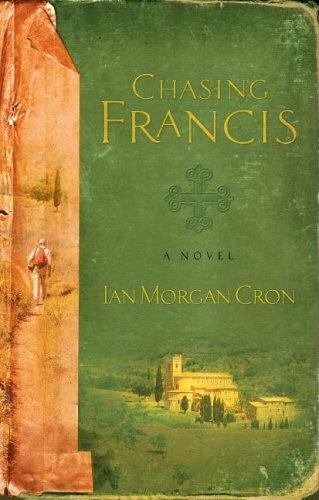 Ian Morgan Cron has given you insight into the kind of person St. Francis was and why he is still reveled to this day. I quite enjoyed the book, it was easy to read, understand and the characters are enjoyable. I found myself wishing I were hanging out with the Franciscan Monks. Their jocularity and intense love of life would be refreshing to be around. Author, musician and speaker Ian Morgan Cron sheds new light on the legacy of St. Francis of Assisi, "the Last Christian." Cron masterfully weaves actual accounts from the life of Saint Francis' into the fictional story of Chase Falson, a New England minister on a pilgrimage to regain his faith. It's an amazing story with profound implications for the contemporary church.